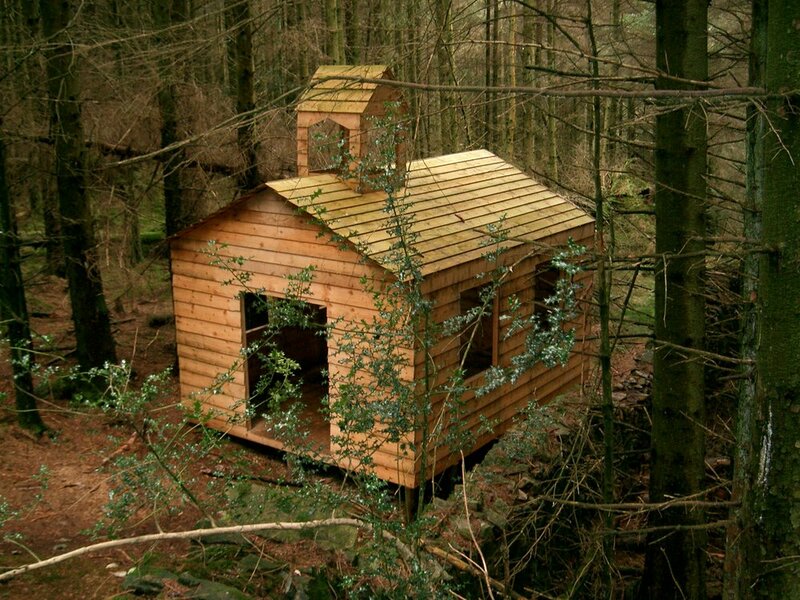 Commissioned by Grizedale Arts in 2003, this was a two-part project; a permanent sculptural installation in Grizedale Forest and a video work. The sculptural element took the form of building a wooden chapel in the deep in the forest, but near to a popular walkers route. This was built out of untreated wood, the intention being for it to quickly decay and become dilapidated. By poisoning it near a popular ramblers route it offered the classic horror B-Movie experience of stumbling upon a dilapidated building in the middle of a forest and the ‘should we go in or shouldn’t we?’ debate that ensues. The second part of the project was the production of a short 16mm horror film based around a false history written for the church. Working with a young Death-Metal band from Barrow-in-Furness called Zenolith they, and their extended social and family networks, became the actors and crew in the film's production. The trailer, below, is all that survived of the film, following a series of unfortunate events, including the film being chewed up in the camera and a four car-crash (no-one was seriously hurt).